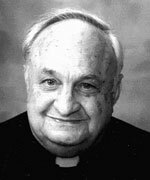 Father Joseph B. Tremonti, CSV, died August 24, 2006, at Provena St. Mary Hospital in Kankakee, IL. He was 94. Born in Detroit, Michigan on June 25, 1912, he was the son of John and Anne Tremonti. Fr. Tremonti was preceded in death by his parents, his two brothers, Lawrence and Oliver and seven of his sisters, Phyllis Whitney, Marion Facchinetti, Margaret Marchese, Rose Campau, Lillian Tremonti, Violet Tuhonen and Mercedes Tremonti. He is survived by one sister, Mildred Colombo, Dearborn Heights, Ml and many loving nieces and nephews. Fr. Tremonti entered religious life with the Clerics of St. Viator on September 7, 1933, professed first vows on September 8, 1934 and final vows on June 7, 1940. He attended the seminary at Catholic University of America in Washington, D.C. and was ordained a priest on May 22, 1941. He began his college studies at St. Viator College in Bourbonnais and earned a B.S. in Math from Loyola University, Chicago, an M.A. in Education with a minor in Physics from Catholic University of America, Washington D.C., and an E.D. in Secondary School Administration and Psychology from Temple University in Philadelphia, P A. He also attended the University of Denver in Colorado and the University of Chicago for graduate studies. During his early college years, Fr. Tremonti served as purchasing agent at Mission of Our Lady of Mercy in Chicago. He taught Math at Cathedral Boys High School, Springfield, IL. He pursued Aeronautics courses and taught pre-flight Aeronautics, Physics and Math at St. Philip High School in Chicago and Spalding Institute in Peoria, IL. He was assigned as Instructor of Education at DePaul University, Chicago, the University of Detroit, St. Mary’s College, Emmitsburg, Maryland, the University of Dallas in Texas and Loyola University, New Orleans. He was a visiting professor at St. Mary’s College, Xavier, Kansas, Immaculate Heart College, Los Angeles and the University of Scranton in Pennsylvania. Fr. Tremonti directed workshops at the University of Notre Dame and at the University of Tulane, New Orleans. 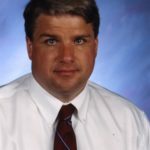 He was Director of Special Education at Kankakee State Hospital and was considered a court expert on annulments for the Tribunal of the Diocese of Joliet. When he retired from his duties as educator and chaplain in 1980, he served as a sacramental minister for numerous parishes and nursing homes in the Kankakee area. Visitation was held on Sunday, Aug. 27, 2006 from 4 – 8 PM at St. Patrick Church, 428 S. Indiana, Kankakee, It. 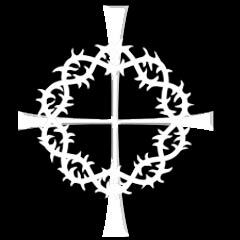 There was a funeral Mass at the church on Monday, Aug. 28, 2006 at 10:30 AM. There was also a funeral Mass in Detroit, MI at St. Robert Bellarmine Church on Wednesday, Aug. 30, 2006. Burial followed at Mt. Olivet Cemetery, Detroit, MI. Please remember our brother Joe and his family in your Masses and prayers.